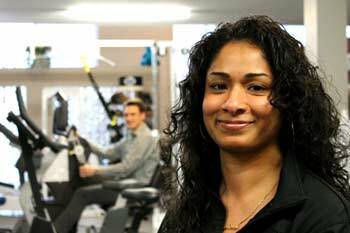 I graduated from the University of Toronto with a Masters Degree in Physical Therapy in 2010. I developed an interest in Neurological Physical Therapy during my undergraduate studies in Kinesiology and Health Science at York University. I am committed to develop my full potential through continuing education and foster clinical growth by becoming NDT and Bobath certified. Other therapeutic interests include Vestibular Rehabilitation as well as the McKenzie Method. Through further education in orthopaedic and neurological conditions, I hope to merge the two areas of specialty to provide optimal client care. I am currently on staff at Southlake Regional Health Centre as well as at York Rehab, committed to professional development and embracing leadership and growth. I have a strong dedication to helping neurological clients experience an improved quality of life and am a firm believer in a client-centered approach to physical rehabilitation. My interests include fitness training, specifically with the TRX Suspension Trainer and Rip Trainer and playing sports including basketball and soccer. I currently teach and train TRX in group classes for all levels from beginner to advanced, including the injured population. My life’s goal is to travel the world!